Easily free up space on your smartphone or quickly transfer files between devices at USB 3.1 high speeds of up to 150MB/s (32GB-256GB). With a reversible USB Type-C connector and a traditional USB connector, the SanDisk Ultra Dual Drive USB Type-C lets you quickly and easily transfer files between smartphones, tablets and computers. Plus the SanDisk Memory Zone app for Android (available on Google Play ) helps you manage your device's memory and your content. 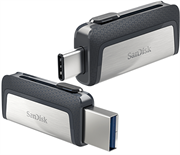 The SanDisk Ultra Dual Drive USB Type-C is the perfect liaison between your new USB Type-C device and your devices with traditional USB ports.SanDisk products are constructed to the highest standards and rigorously tested. You can be confident in the outstanding quality, performance and reliability of every SanDisk product. 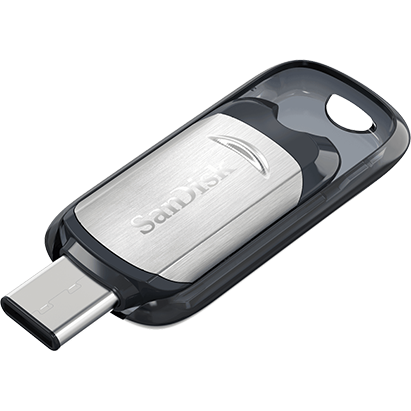 The SanDisk Ultra Dual 64GB USB 3.0 OTG Flash Drive makes it easy to transfer content from your phone to your computer. With a micro-USB connector on one end, and a USB 3.0 connector on the other, the drive lets you move content easily between all your devices—from your Android smartphone or tablet to your laptop, PC or Mac computer. 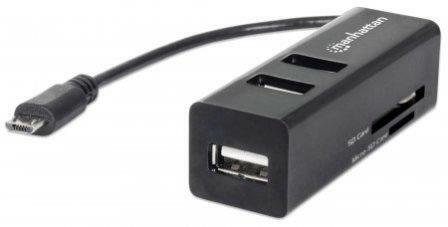 The USB 3.0 connector is high-performance and backward-compatible with USB 2.0 ports. 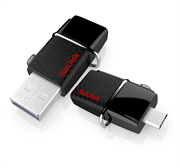 This flash drive for your Android devices includes the SanDisk Memory Zone app for automatic camera roll backup and easy file and media management. SanDisk products are constructed to the highest standards and rigorously tested. You can be confident in the outstanding quality, performance and reliability of every SanDisk product. Promate kitKater Universal Android OTG Data link with Micro-SD Card Reader-Never worry about running out of memory with kitKater, an ultra-sleek and slim Android Micro-SD card reader. Just like a Micro-SD card reader you use for your PC, kitKater may be used to increase the memory on your Android 4.0 device. It supports Micro-SD cards whose memory is small as 8 GB to as big as 64 GB. Now store your favourite Movies, music and other data on you Micro-SD card, insert it into kitKater and plug it into you Android smartphone to enjoy a host of multimedia and entertainment without bounds. Sandisk 32GB Ultra Type-C usb Flash Drive, Retail Box, Limited Lifetime Warranty. 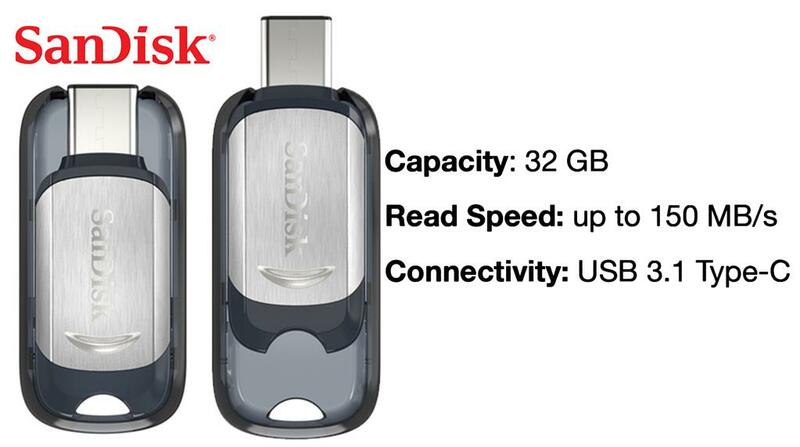 Designed for smartphones, tablets and computers that feature the new USB Type-C™ port, the SanDisk Ultra® USB Type-C™ flash drive is easy to plug in because it’s always right-side up. High-speed USB 3.1 performance of up to 150MB/s allows you to quickly transfer your photos, videos, and other files. Plus, the SanDisk Memory Zone application (available on Google Play™) lets you easily manage and back up content on your Android™ devices. The super-thin SanDisk Ultra® USB Type-C™ flash drive is designed specifically for next-generation devices with the new USB Type-C port. The reversible connector has a uniform design, so that it’s always right-side up, making it easy and fast to plug in. High-speed USB 3.1 performance of up to 150MB/s (32GB) means you spend less time waiting to transfer your photos, videos, songs, and other files between devices. Free up space on your smartphone or tablet, or transfer files between multiple USB Type-C devices. The imPORT Link connects quickly and easily to the Micro-USB port on your smartphone or tablet, giving you the power to connect a standard USB thumb drive, keyboard, mouse (including most wireless mice), printer or other peripheral. Additionally, it features side-mounted card ports so your device can read and write to virtually any 24-in-1 standard data card (SD, MMC or microSD). 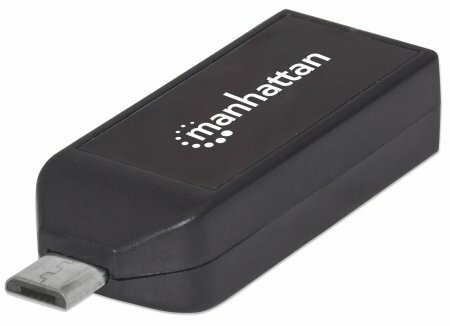 The Manhattan imPORT Reader is a versatile card reader that allows you to easily connect a SD, MMC or microSD card to your OTG capable smartphone or tablet, as well as your laptop or desktop computer. The imPORT Reader plugs into the Micro-USB port on your smartphone or tablet, giving you the power to read and write to virtually any 24-in-1 standard data card (SD, MMC or microSD). Alternatively, you can use the standard USB 2.0 connector to plug the imPORT Reader into your Mac or PC. With a slim, lightweight design, the imPORT reader is perfect for work, school, traveling and more. 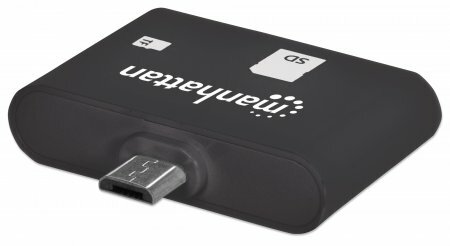 The Manhattan imPORT SD is a versatile card reader that allows you to easily connect a SD, MMC or microSD card to your OTG-capable smartphone or tablet. The imPORT SD plugs into the Micro-USB port on your smartphone or tablet, giving you the power to read and write to virtually any 24-in-1 standard data card (SD, MMC or microSD). Plus, it has a slim, durable design that is perfect for work, school, traveling and more. The UniQue Micro USB Host OTG (on-the-go)adapter cable stk# KDUSB2001 ,works exactly the same as the Samsung Original USB OTG Adapter for Samsung Galaxy S II / Galaxy S3, allowing you to connect USB accessories such as keyboards, mice, flash memory drives and more to your portable electronics such as cell phones, eReaders, tablets, and laptops providing a solution for user-friendly removable data storage or the sharing of your favourite multimedia files with your compatible device. This pocket-sized device turns your compitable tablet or Smartphone into a USB host, allowing you to connect compatible USB accessory devices such as keyboards, mice, thumb drives and more to your phone. This USB Host Cable also works with most external hard drives! Depending on your device you may need external power. (note: some external devices may not be compatible). 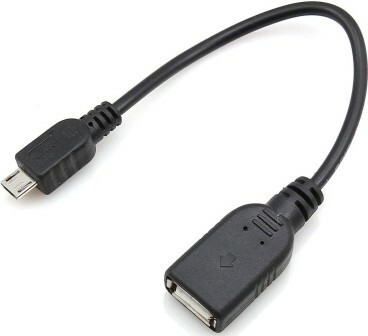 Connectors: Standard USB 2.0 port to Micro USB OTG connector. Functions depended on the device's operating system and applications. Operate small USB peripherals by plugging in the adapter cable which transforms your mobile or portable device into a USB capable unit. USB GPS, USB 3G/4G modems, memory card readers, cameras and much more! USB flash drive compatible! USB mouse and keyboard connectivity!